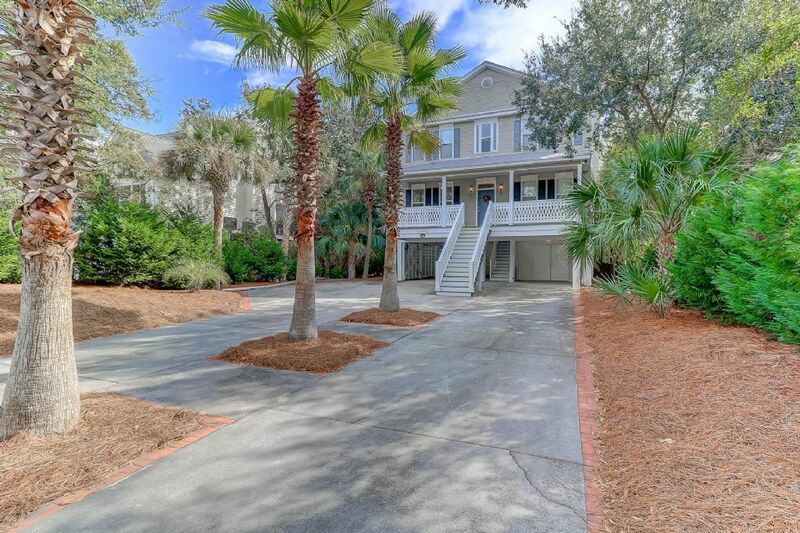 Welcome to "In Chambers" on Folly Beach at 311 West Indian! 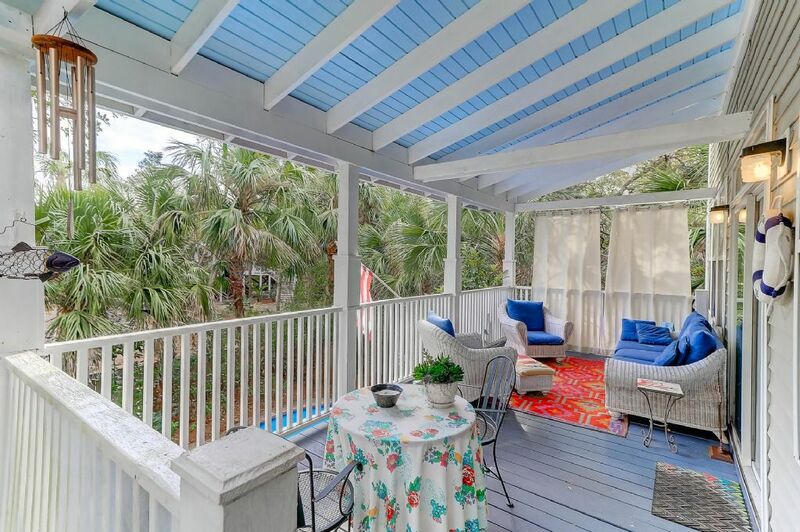 This tropical retreat on the Charleston coastline is the perfect spot for the annual family retreat. 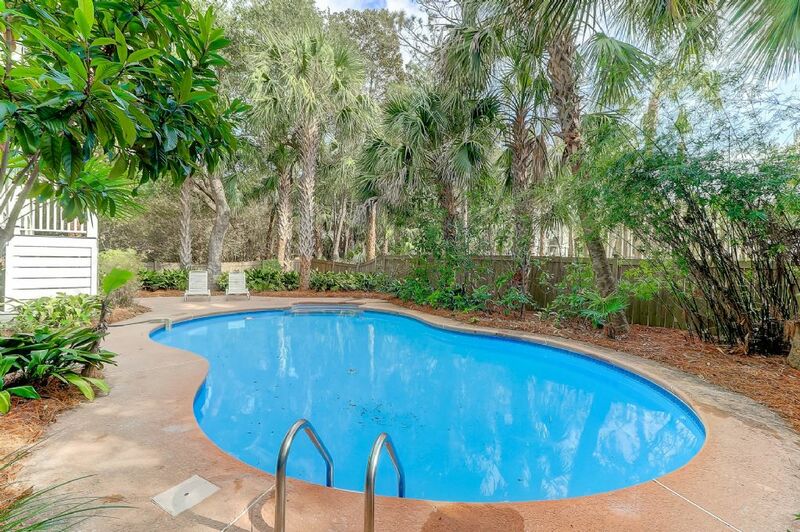 The home features private, Salt Water pool in a lush tropical landscape that will take you miles away from the hustle and bustle. 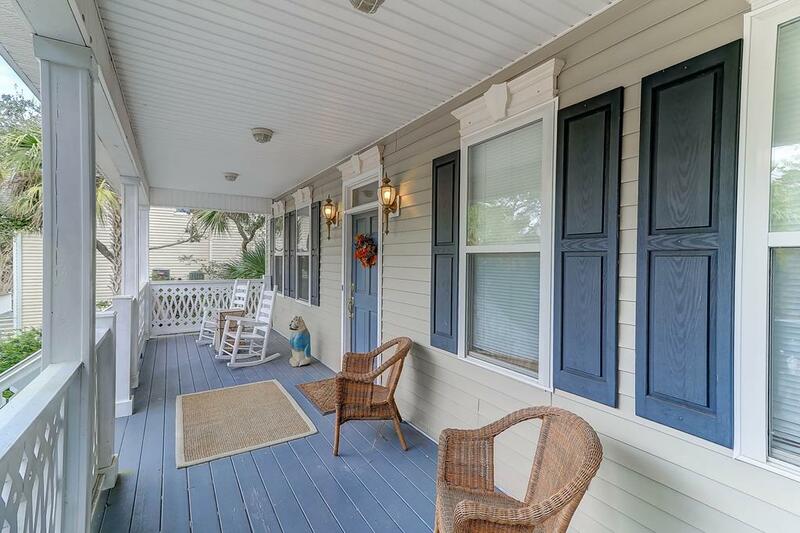 Located a short walk to the beach and only a 15 minute drive to historic downtown Charleston we know this will be a repeat destination for years to come. 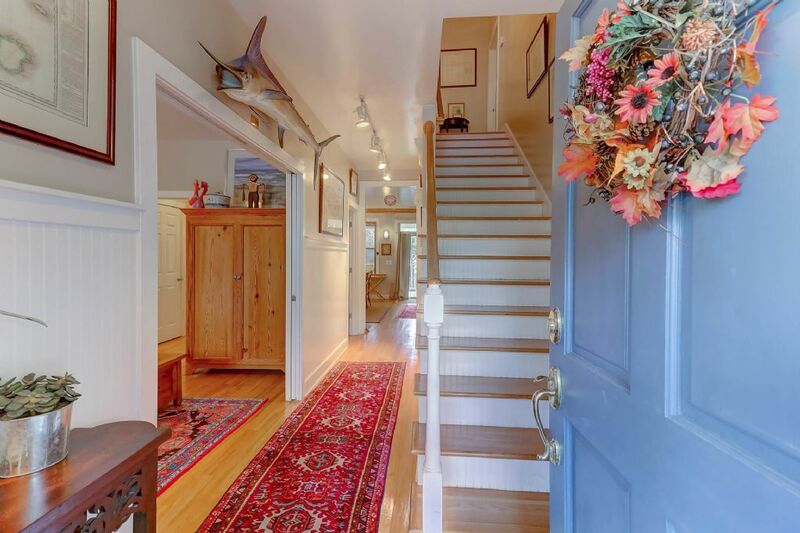 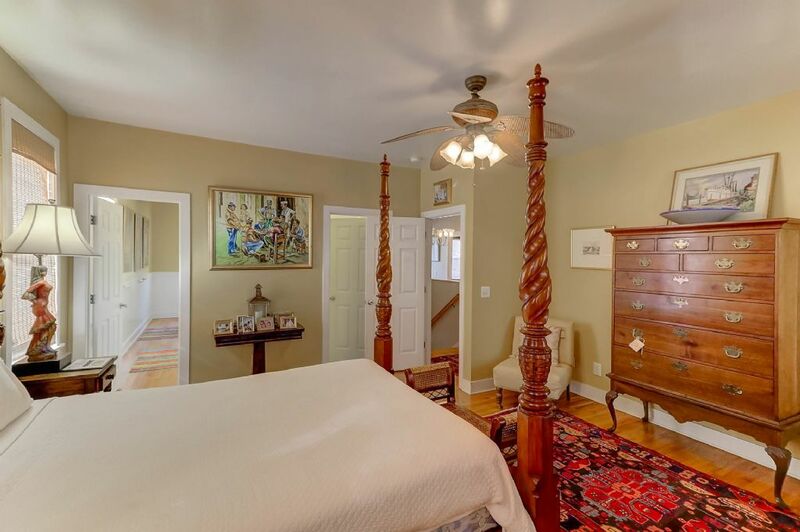 Upon entering the home you will notice the special southern charm that makes this such a special place. 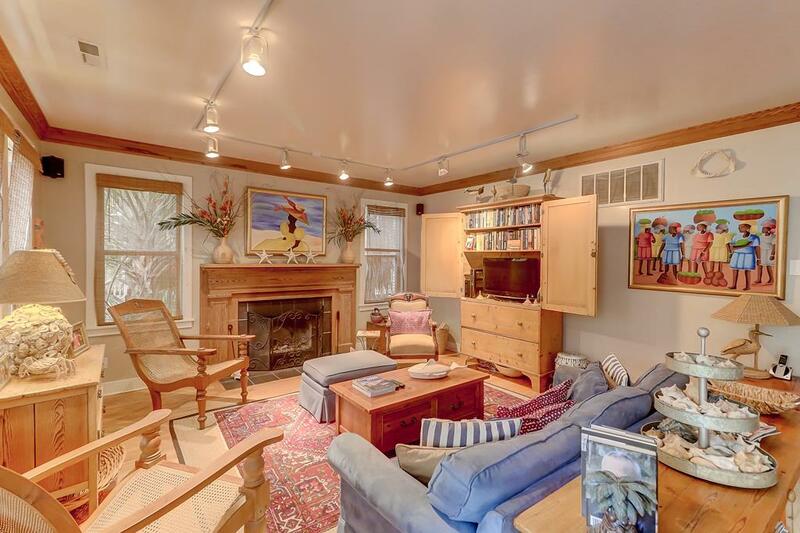 The living area features an open floor plan that is perfect for entertaining. 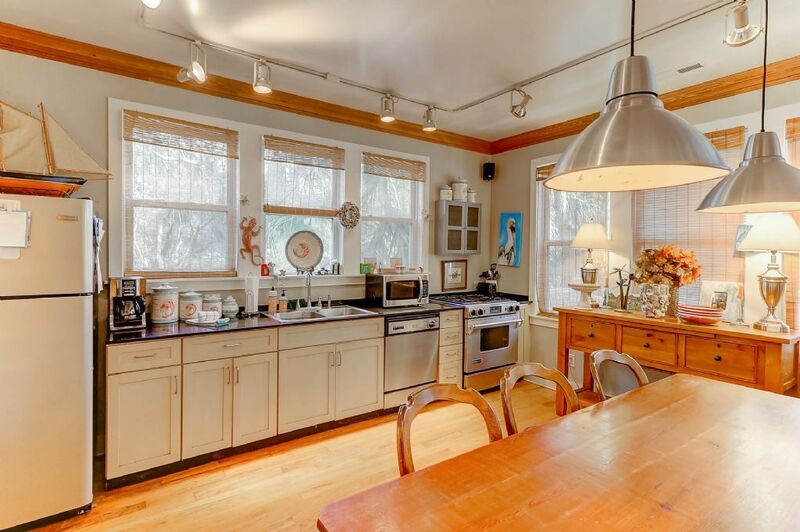 The kitchen has all of the modern appliances you would expect and all of the gadgets for even the most discerning family chef. 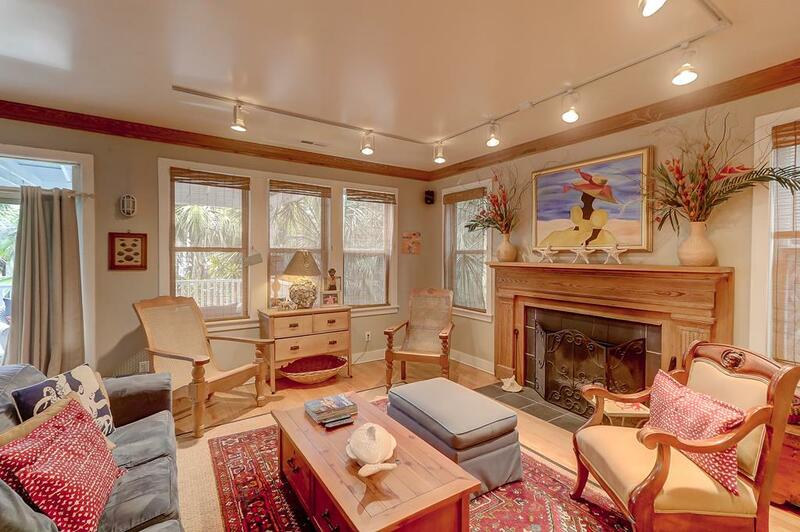 Large flat-screen TV is great for family movie night or the rare rainy day on the beach. 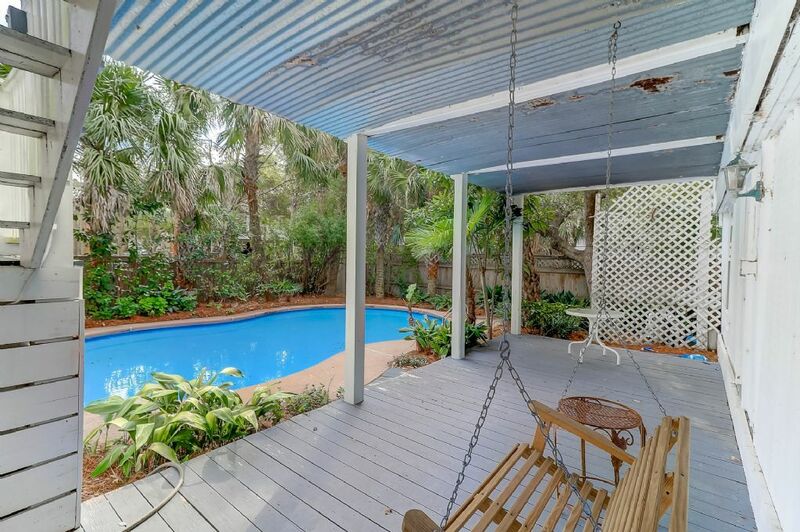 Ample outdoor living space includes large porch on front of the house with rocking chairs and large porch on the back over-looking the pool. 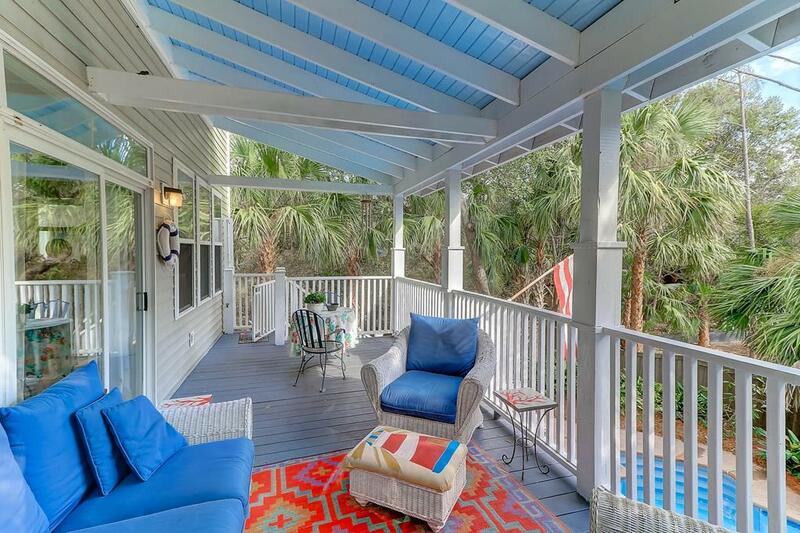 The back porch has plenty of seating to gather with an evening cocktail while relaxing in the ocean-breezes with palm trees rustling in the background. 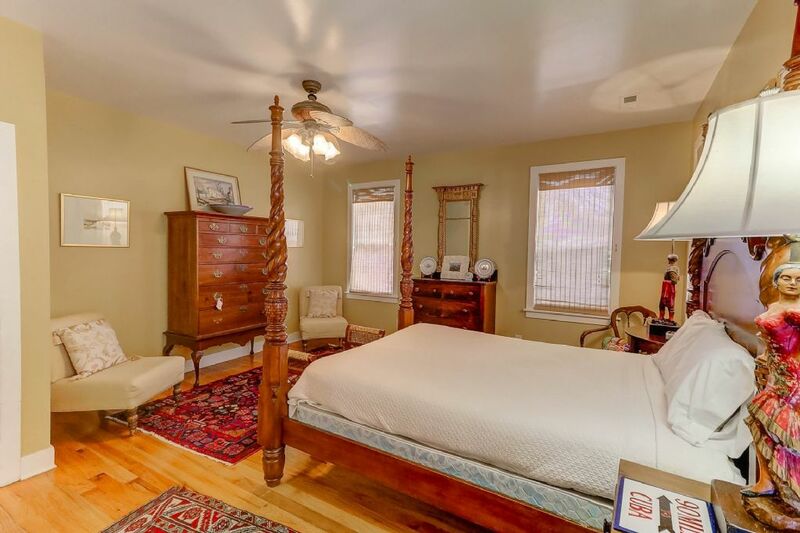 The home has 5 bedrooms and 3.5 baths. 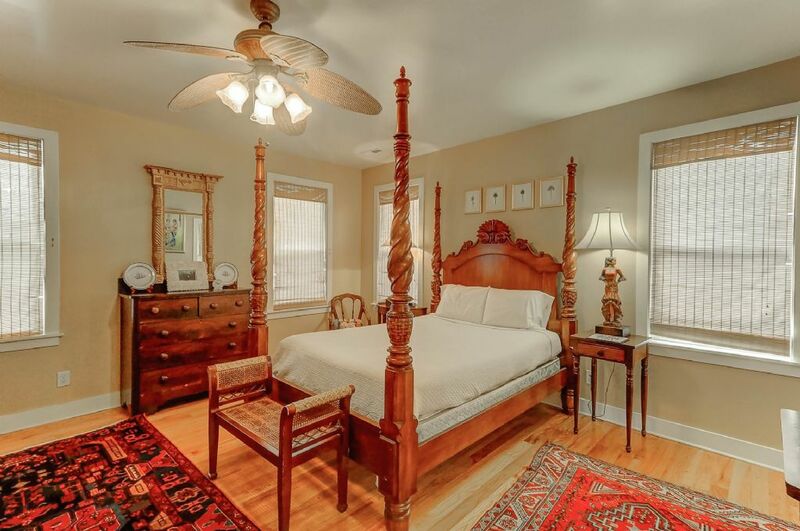 Four of the bedrooms feature queen beds with classic southern bed frames. 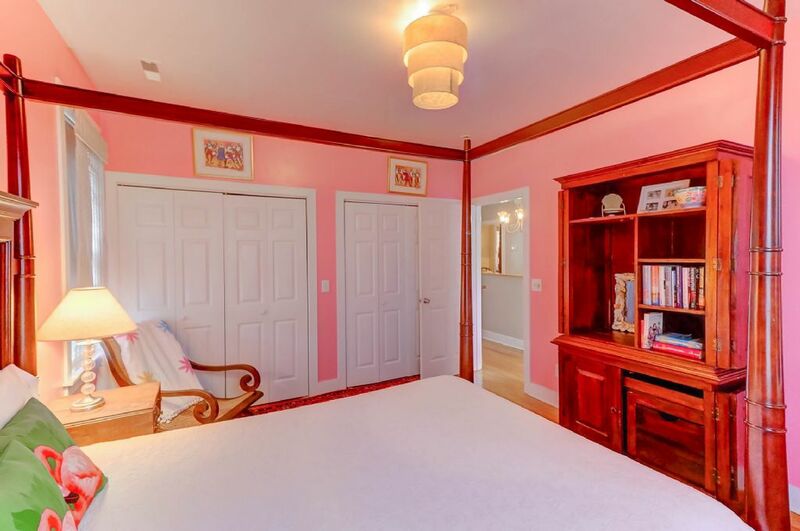 The final bedroom is perfect for the kids or teenagers with two full beds. 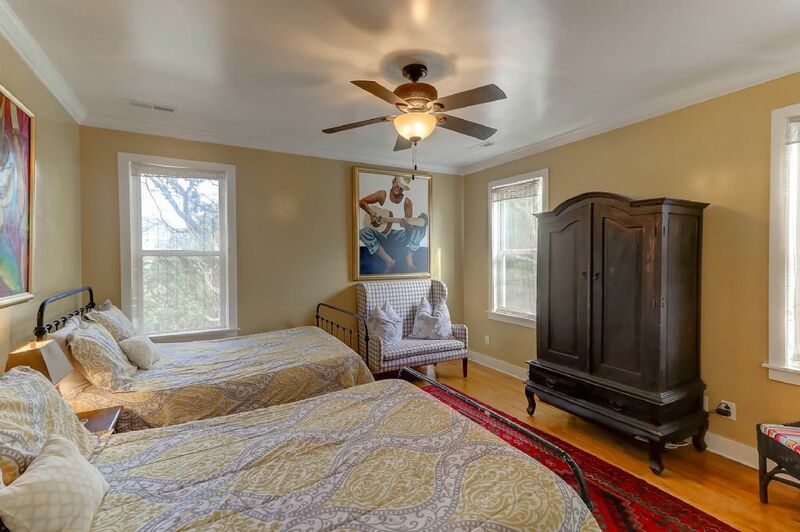 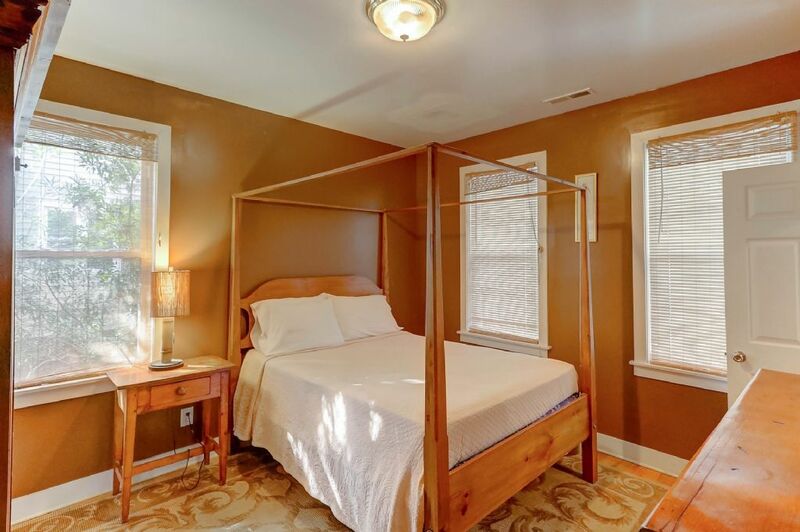 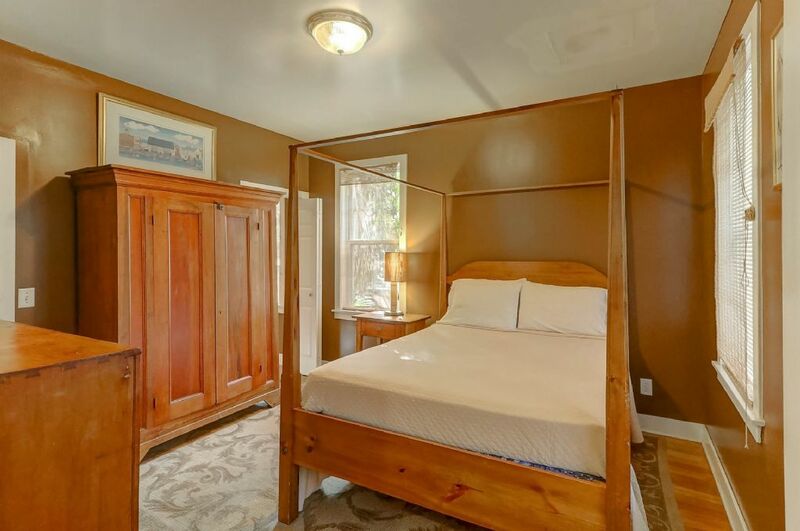 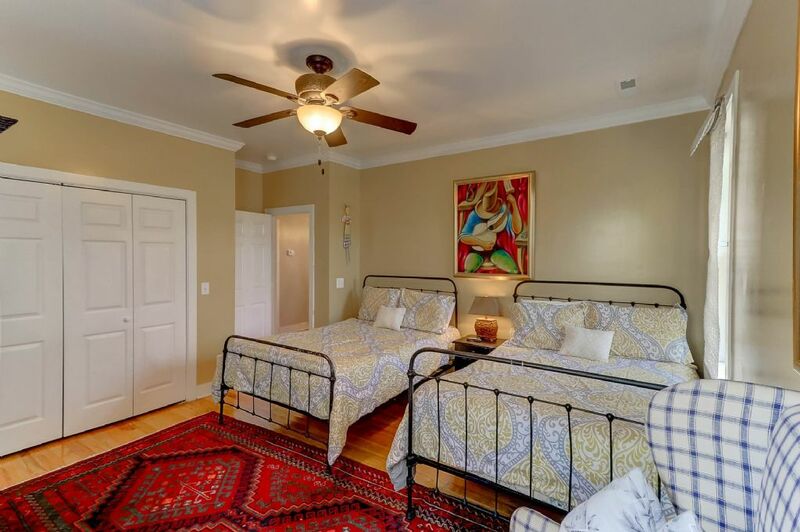 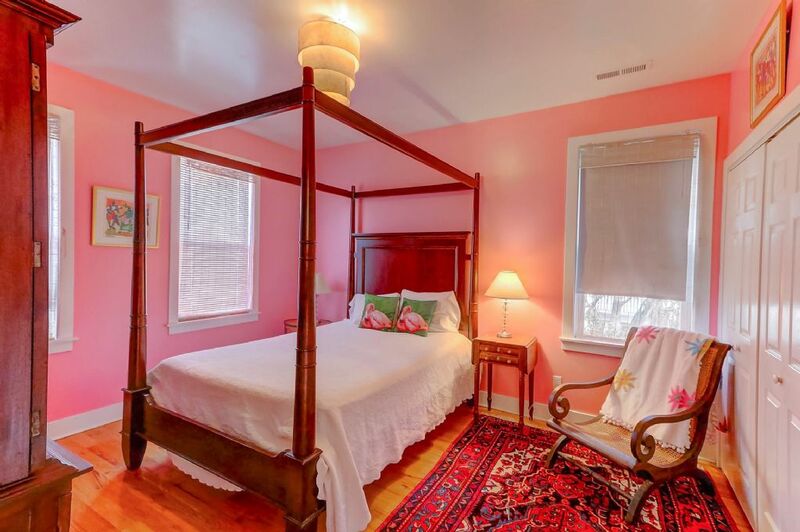 The master bedroom upstairs features private master bath with dual vanities and walk-in shower. 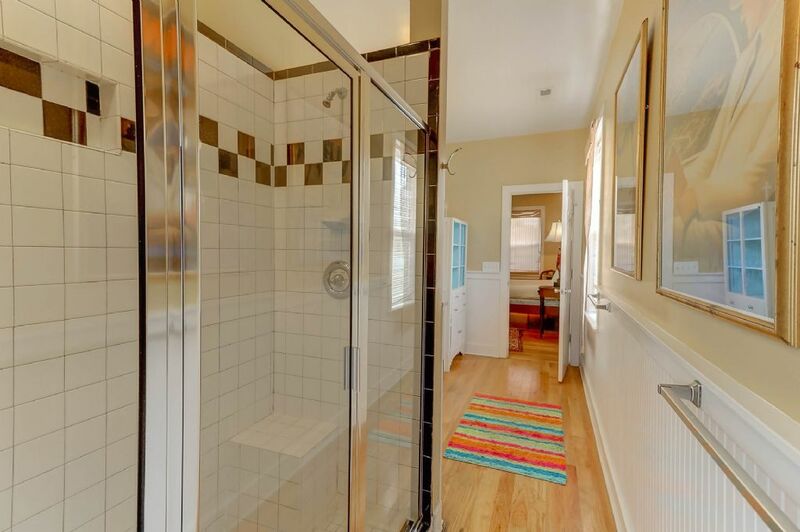 The remaining to full baths both have shower tub/combo. 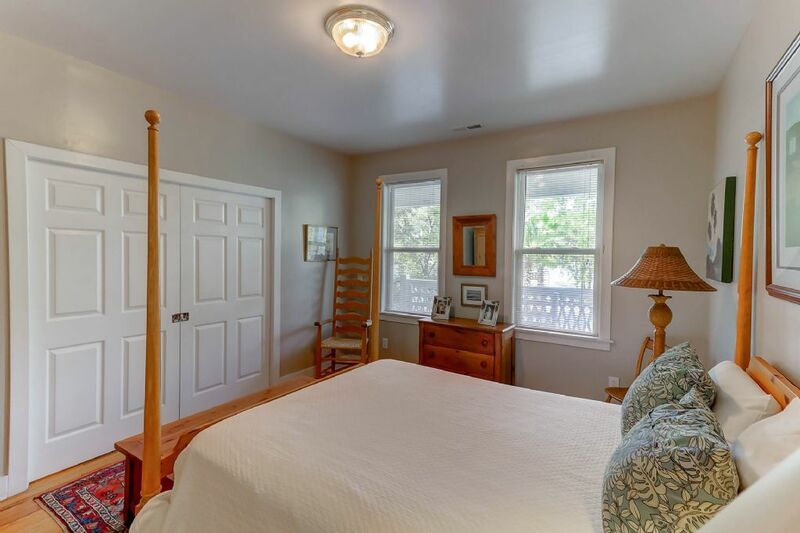 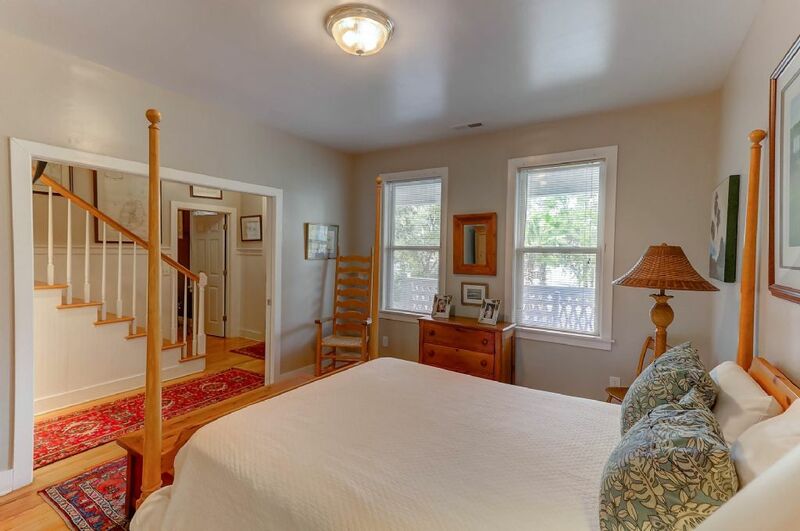 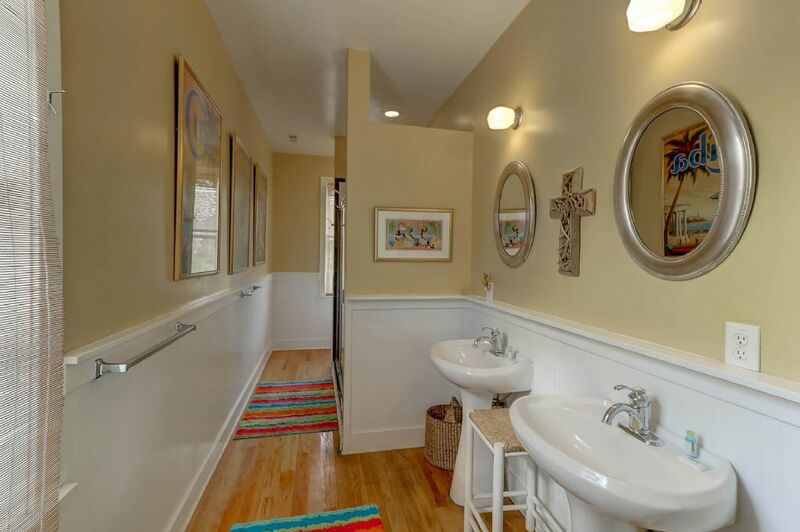 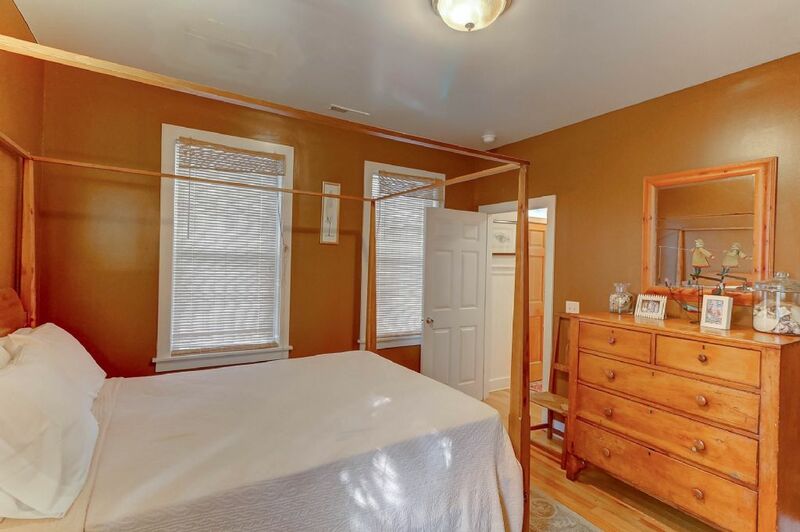 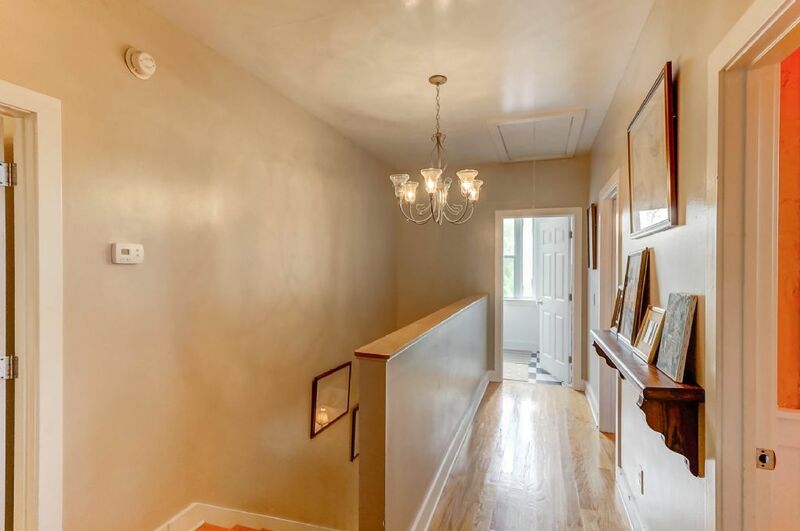 Half bath is downstairs accessible to the living area. 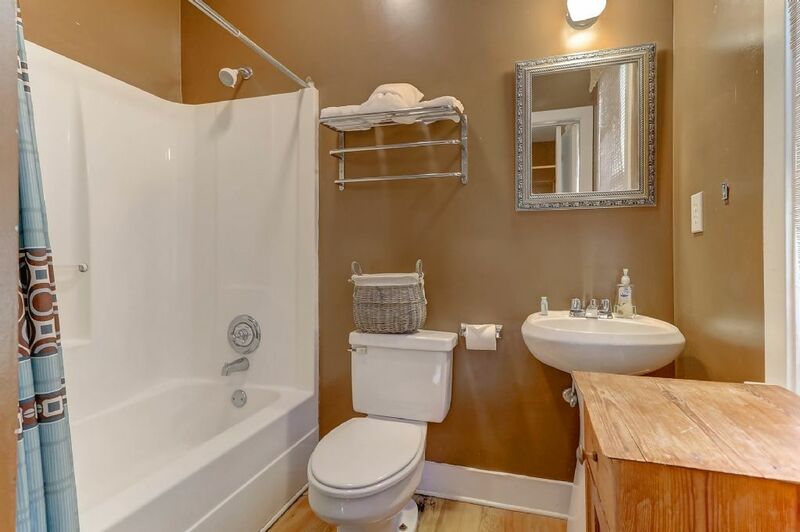 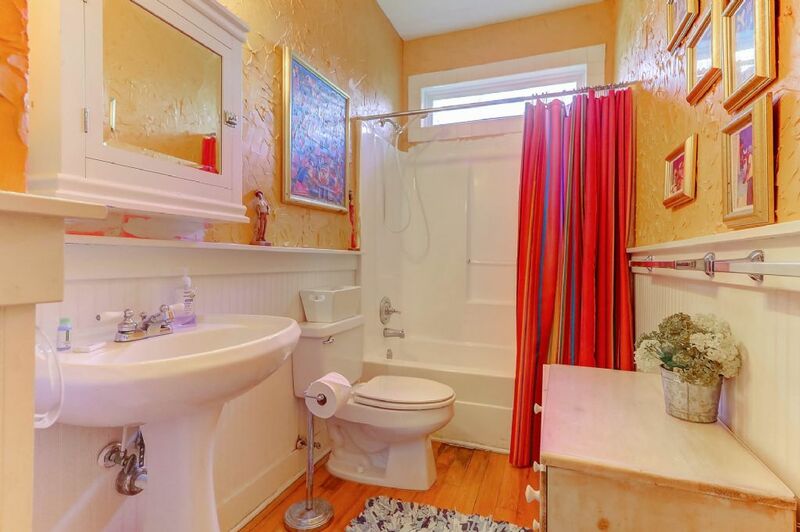 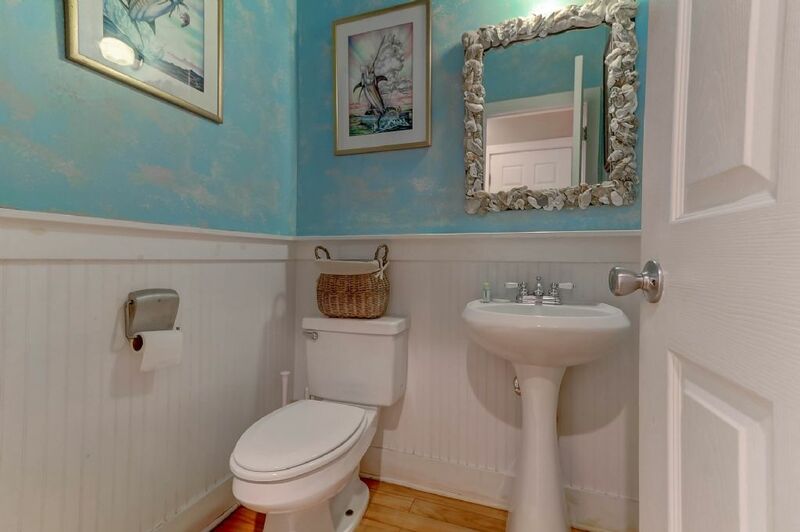 Home has all of the amenities you would except in a high-end rental. 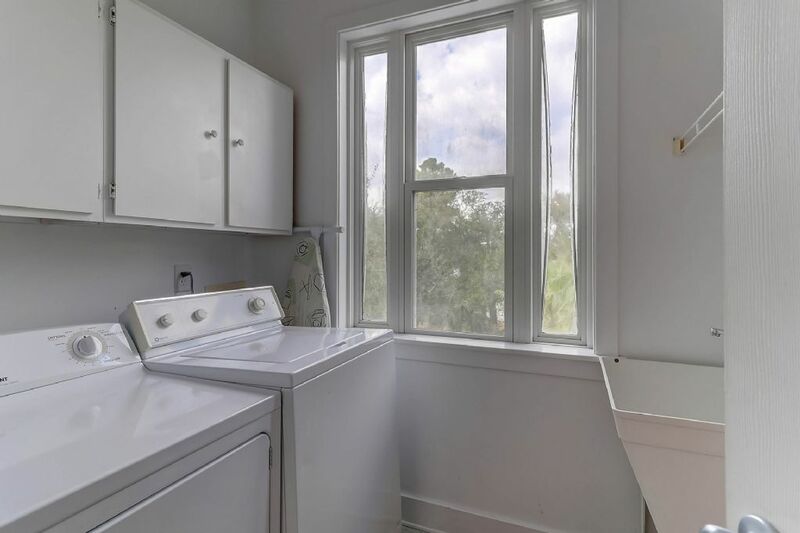 Wifi, washer/dryer, dishwasher, cable TV are just a few of the amenities included. 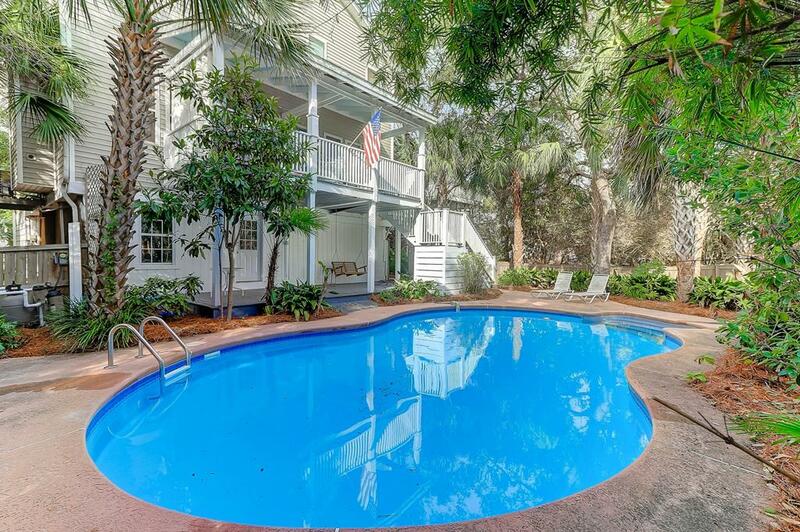 The large salt water pool is a rare find on Folly and is a fantastic place to cool off after a long-day on the beach. 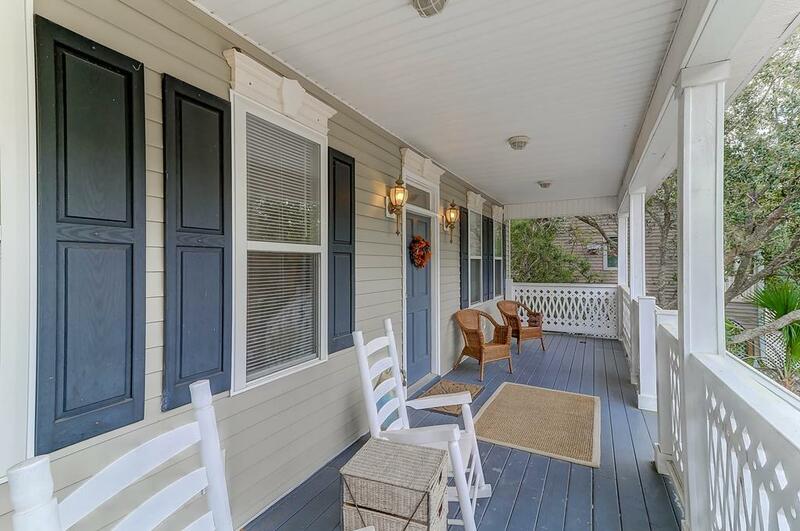 Home does not allow pets or smoking inside the property. 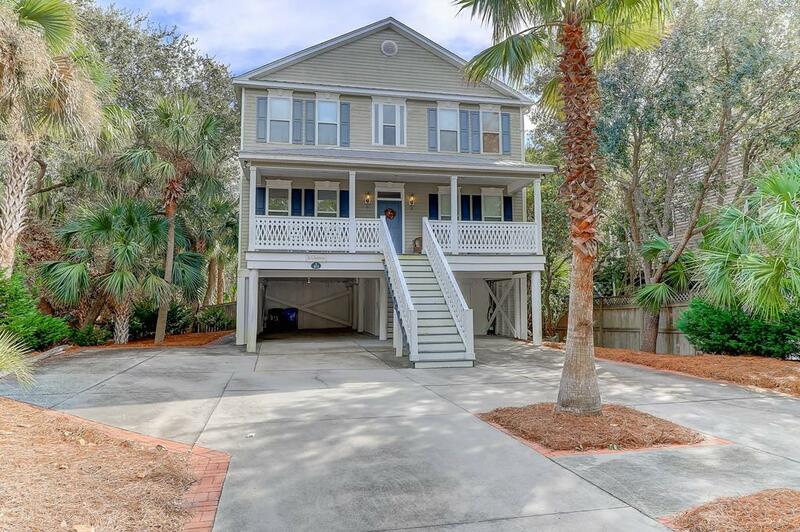 Home is intended for family vacation groups and does not rent to guest under the age of 25 or to party groups of any sort. 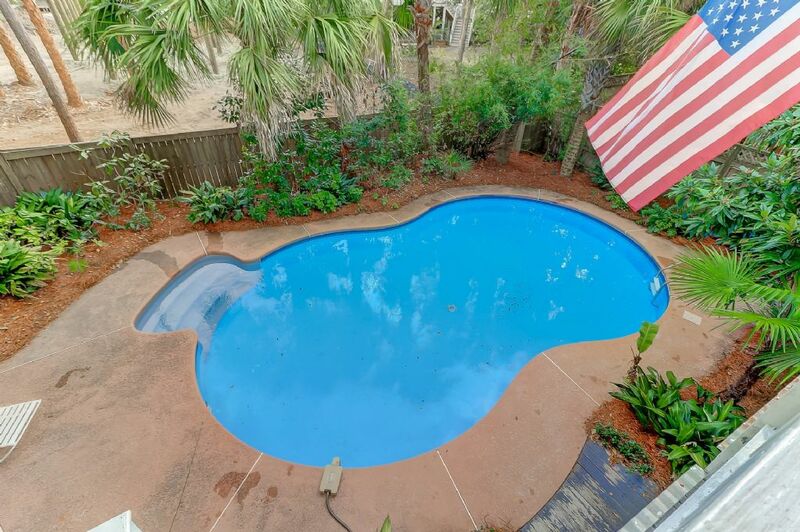 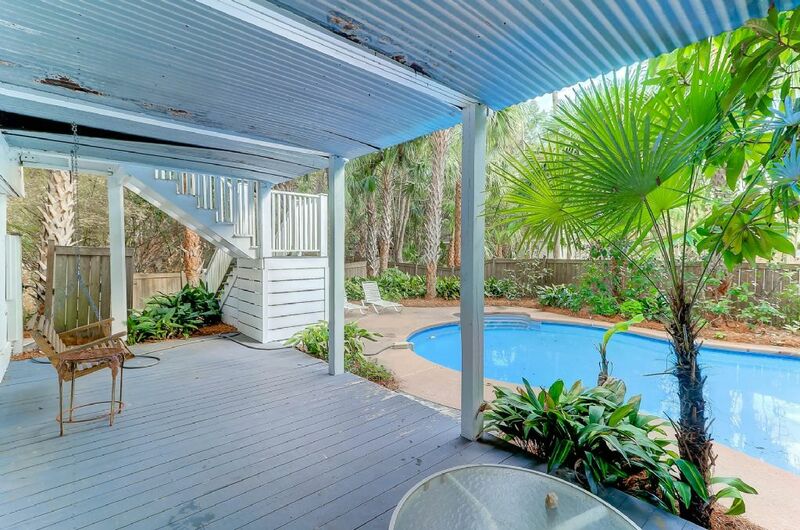 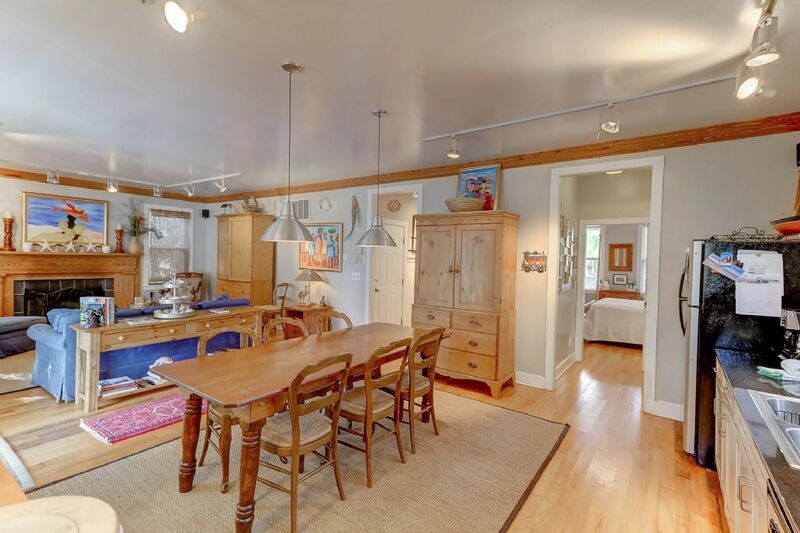 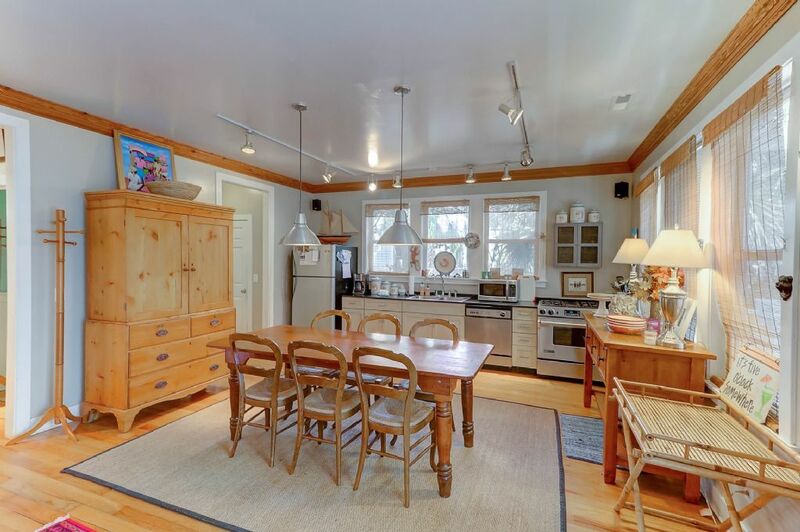 Home is located in a quiet residential area of Folly with multiple full-time neighbors. 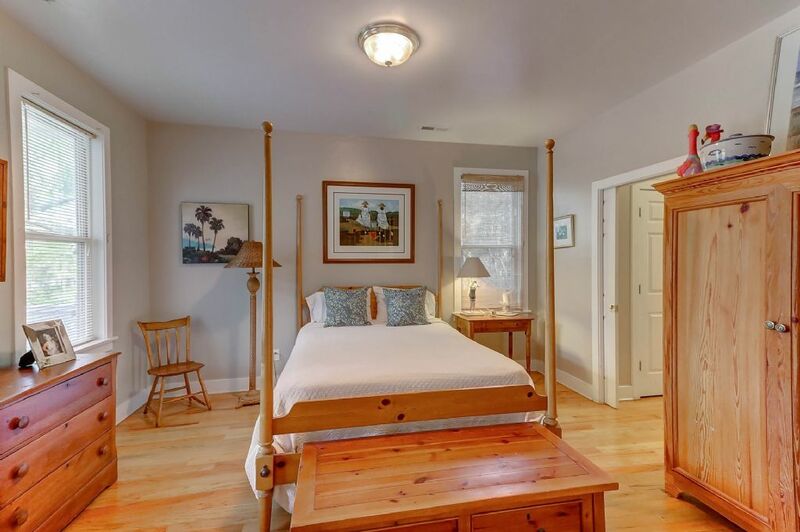 Call Carolina One Vacation Rentals at 843-588-1212 to book your trip to "In Chambers" today!